Home /black girl travel, Fun, Travel/Solo in Thailand! Traveling to Phuket, Thailand solo was probably one of the scariest things I’ve ever done. It was my 1st solo trip internationally and my 1st time to any part of Asia. My intentions weren’t to go alone but one by one, my group of fellow travelers slowly began dropping off, and I was the last Wo(MAN) standing. I had almost two weeks of vacation to use and there was no backing out for me. I was going! I’m apart of many travel groups and Thailand was a constant topic of conversation. I decided it was finally my time to get out to the land of amazing food and island hopping and see what the fuss was about. Planning was easy! I flew China Southern round trip out of LAX for a very cheap flight. ($385). My return flight had a lengthy layover over so I took advantage of the 24 hour visa, free hotel room provided by the China Southern. Booking the hotel proved to be a little bit more challenging simply because there were so many hotels to choose from. Being a budget traveler, I usually split accommodations with others to make it more affordable. Since I was staying alone, I needed a reasonable hotel that was safe and close to the action. I googled “hotels in Patong beach with Infinity pools”. #3 on a top 10 best hotels list was the Patong Mansion hotel. $40 a night, free breakfast, infinity rooftop pool and close to the action! I booked immediately for 8 days. Sweet. Hotel booked. The hour long right felt like half of that as I took in the scenic route to my hotel. Much different than any other place I had been to. The hotel front desk staff were pleasant and wide awake at 1am as I checked into my hotel. They spoke perfect English and I received the warmest welcome. My room was cute, but the beds were Hard. (Bummer) However, I still made the most of it. I was barely in my room. I got $8 massages and made my way to the beach daily to watch the sunset. 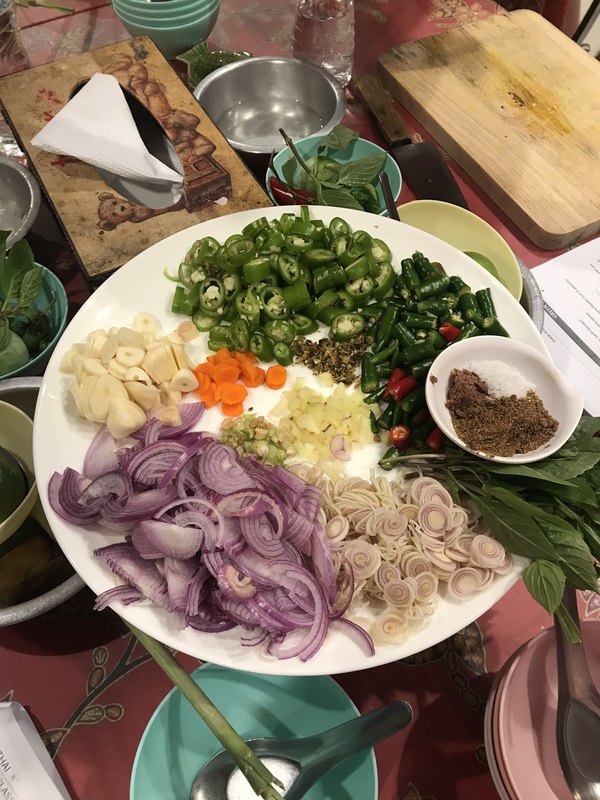 I had an amazing cooking class and much much more. 8. Watching live entertainment at the weekend market. 9. Watching the sunset at the beach. 10. Get clothing made or tailored. 1. Withdraw money from the ATM in the airport. 3. Bring your own water shoes and snorkel gear. (I didn’t find snorkeling to be that great in Thailand) It was relaxing to just hang out in the ocean though. 5. If you plan to get clothing made, go on day one. I waited to the last minute and couldn’t squeeze it in. 6. The fish pedicures are everywhere. Be brave if you want BUT there is no way for them to clean the bowl between customers. Everyone was sticking their dirty feet in the water and the fish ate the dead skin off. Yuck! 7. I felt safe at all times. But I heard Bangla road gets a little crazy after midnight. I didn’t experience that. 8. The best street food is on Bangla road. There is a section with mainly food vendors. It’s says “street food” on the sign. You MUST eat here. $6-$8 huge lobster tails, the best Pad Thai I’ve EVER had and the garlic shrimp?! Omg…amazing. 9. The Tuk tuk drivers will try you. Be firm and tell them exactly where you need to go and get a price before you get going. 10. There are no washcloths and the beds are pretty firm in most hotels in Thailand. Do your due diligence in searching for soft beds. Overall, I highly suggest visiting Thailand. It’s so rich in culture, relaxation and amazing food. The only thing that got kinda awkward were the people staring. Many people hadn’t seen black people before. There were some moments where I felt like a fish in a fishbowl but it wasn’t too bad. If you’ve gone or have questions, please ask away in the comments section. Omg I wanna do a solo trip like that so bad. I just have to brave up! That is so awesome! You can do it! I was a nervous wreck when the day before I left. Once I got there, it was AWESOME!